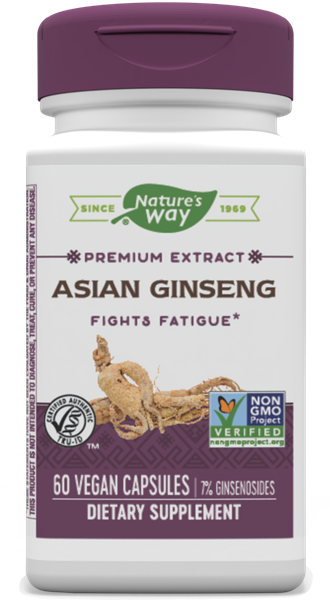 Ginseng, Korean / 60 Vcaps - Nature's Way®. Asian Ginseng is standardized to 7% ginsenosides. Take 1 capsule twice daily, preferably with food. Do not exceed the recommended dosage. Caution: If pregnant, nursing, taking medications for diabetes or any other medications, consult a healthcare professional before use.